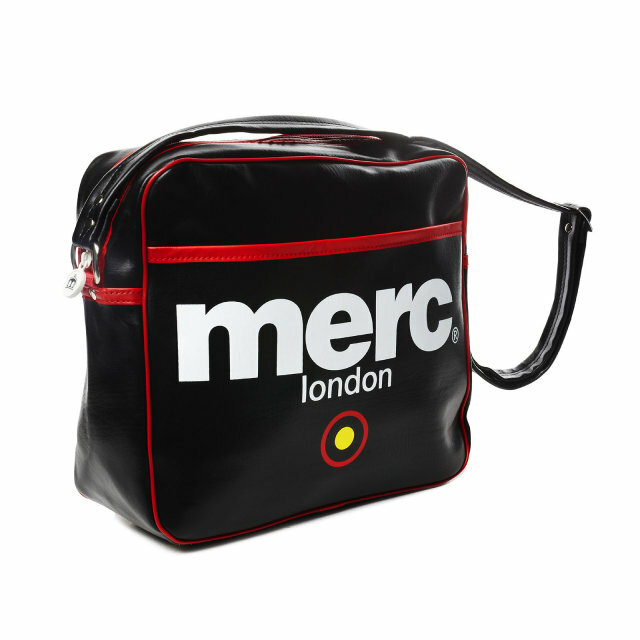 Merc airline bag with shoulder strap and Merc logo target print. Available in Black, Navy, Red and White. PU leather.